Finding your amazing starts with a conversation..
Talk to us at Kuoni Cheapside and we’ll listen. Tell us about the best holiday yov’ve ever had, the sights you want to see and the little details that make the big difference to you. We will then tailor make a holiday you will always rember. Time is precious, so every holiday should count. 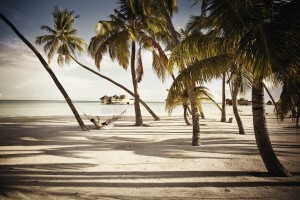 From overwater villa in the Maldives to exploring Cuba with our expert guide, we’re here to make your ideas a reality. Come and visit them in store to hear about their latest travels and recommendations over a glass of complimentary Champagne, pick up a brochure or relax in their stylish store watching inspirational travel videos. They are ready and waiting to craft your next holiday. All Cheapside Privilege card customers are entitled to 5% off on all holidays booked* Please give them a call on 020 7600 4205 or visit their Cheapside store presenting your card at the time of booking. Discounts is not valid on Australia and USA bookings, or holidays with our specialist companies. It is also not valid for use with Offer of the Week.